Improving lives through physical fitness. CrossFit Work Over Time is a growing family of people who come in all shapes, sizes, and athletic ability. We are on a daily mission to improve our lives through physical fitness. Whatever your situation, you will achieve results! The workouts with our CF-L1 Certified coaches, are structured to be challenging and completed regardless of your fitness level. 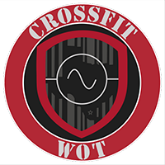 In each hour long class our coaches guide you through a “Workout of the Day” (WOD) with an emphasis on proper technique and safety. CrossFit is a fitness regimen developed by Greg Glassman over several decades. Glassman, CrossFit’s Founder and CEO, was the first person in history to define fitness in a meaningful, measurable way: increased WORK capacity OVER broad TIME and modal domains. He then created a program specifically designed to improve fitness and health. Functional strength and conditioning with constantly varied workouts that are sure to provide superior results in all aspects of fitness. Our Beginners Class is a 3 week course that provides all new members with knowledge and skills necessary for attending our Regular Group classes in a safe and effective way. A personalized macronutrient plan optimize your performance, aiding in weight loss and improving overall body composition.